Visit Texas Dental Specialists today to fit your child for a mouthguard. When your child plays sports, it is easy to think of the equipment you need to get in order to protect them from danger on the playing field. You think of shoulder and knee pads, shin guards, and even jock straps, but sometimes one of the most important forms of protective gear is forgotten, the mouthguard. Many of our patients come in for a visit after their mouth has been injured from a blow to the face. We want to help you prevent this issue from happening before painful or complicated damage occurs. The mouthguard will absorb most of the blow due to its cleverly created structure. A mouthguard can help the child avoid painful and serious jaw breaks, hard to repair tooth chips and cracks, costly tooth loss, and the need for sutures to repair an oral tissue tear. The parent will also save him or herself from being held liable if another child runs into the parent's and suffers an injury from a collision with sharp teeth. Parents can also get a mouthguard that they can boil to make the material more malleable. The parent then forms the mouthguard to the child's teeth. These mouth guards tend to fit more snuggly and provide a little more protection, but they are still slightly bulky. 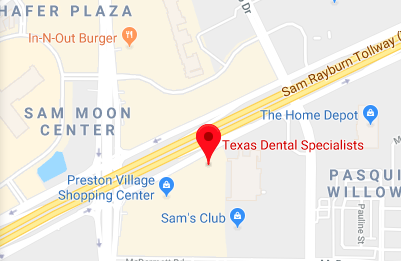 For the best fit and the most comprehensive protection, we encourage you to visit us, as a family dentist in Plano, for a customized mouthguard for your child. Whatever forms of protection you decide are best for your child, we hope you also include a mouthguard. Sports are a great form of exercise and fun, but they can quickly lead to harmful results without the proper protective gear. Visit Texas Dental Specialists, to learn more about how to have a proper mouthguard created. cleanings to x-rays, we are able to offer all of that in the clinic, so you do not have to go anywhere else. In a the same vein, families do not want to be juggling schedules, so we have a booking system that allows you to book each other's appointments in congruence or relationship with each other. This way, when you and the family come in to see the family dentist, all your bases are covered at the same time.